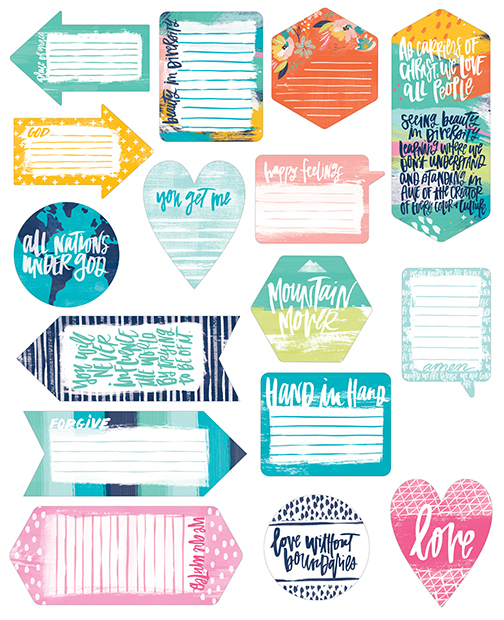 This package contains an assortment of double sided Tags / Journaling Cards. Frontside is colorful & lined while the backside has a variation of lined patterns. Part of the All People All Nations Collection by Illustrates Faith. Look for coordinating Tags, Ephemera Die Cuts and selected Designer Papers.